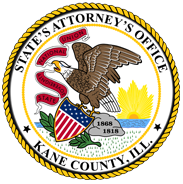 ​​​​​​​​​The Kane County State's Attorney's Office is providing the following disclosure on all cases filed from January 1, 1999 to June 1, 2015. On June 9, 2015, the Kane County State's Attorney received notice from the Illinois State Police Forensic Biology/DNA program manager, that the FBI notified them of errors identified in the FBI STR population data published in 1999 and 2001. 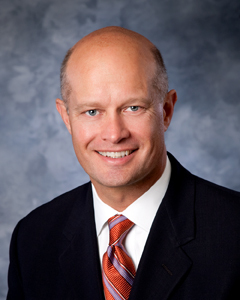 The Kane County State’s Attorney’s Office recently completed a study with Aurora University and the Illinois Criminal Justice Information Authority on the effectiveness of our Deferred Prosecution program. The study revealed a 7.9 percent recidivism rate, empirical proof that diversion programs work. Click the link below to view the study. On behalf of the hard working men and women of the Kane County State’s Attorney’s Office, thank you for visiting and welcome to our Website. I invite you to explore the site and see for yourself the broad array of services performed by the office. ​​​As part of our continuing effort to improve awareness about child abuse and neglect and how the public can help, we have joined with CASA Kane County and the Kane County Regional Office of Education to produce this flyer, which is being distrubted anywhere children gather. The message is simple: You don't have to be a mandated reporter to report suspected child abuse and neglect. Anyone can report it. Just call the DCFS hotline at 1-800-25-ABUSE (1-800-252-2873).